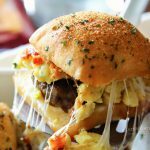 Need an easy way to feed a crowd an awesome breakfast? 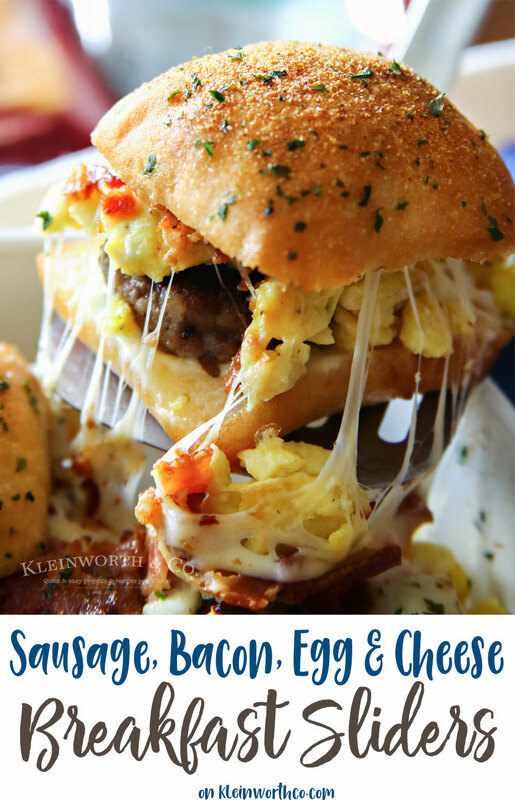 These Sausage Egg Bacon Cheese Breakfast Sliders whip up quick & are oh so delicious! It’s almost time for the holidays my friends. I don’t know about you, but isn’t it sort of overwhelming when it comes to what to feed all those guests breakfast lunch & dinner each & every day they are with you? I know that making sure all the meals are covered can really put a drain on an already hectic time of year. So I came up with a simple & easy breakfast recipe that you can make ahead of time & bake in the morning when your guests are hungry & ready to eat. 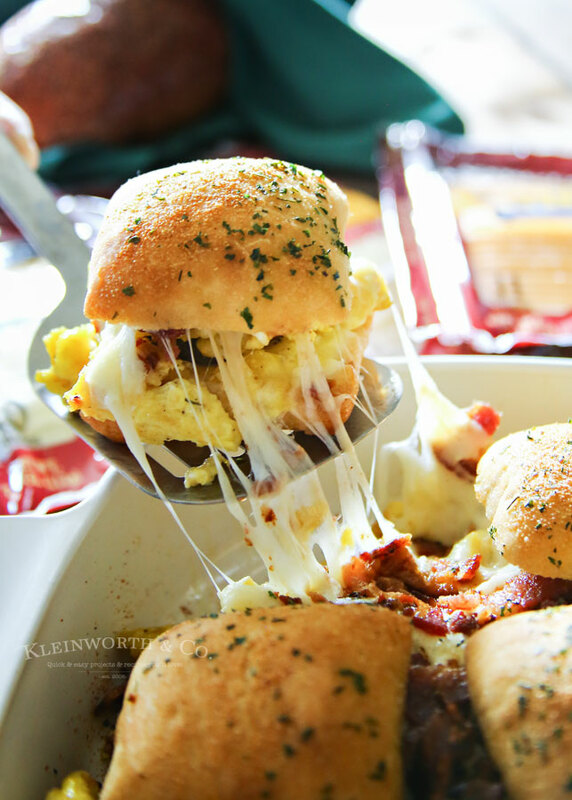 Sausage, Egg, Bacon & Cheese Breakfast Sliders will knock their socks off. It’s really quite simple to make these. 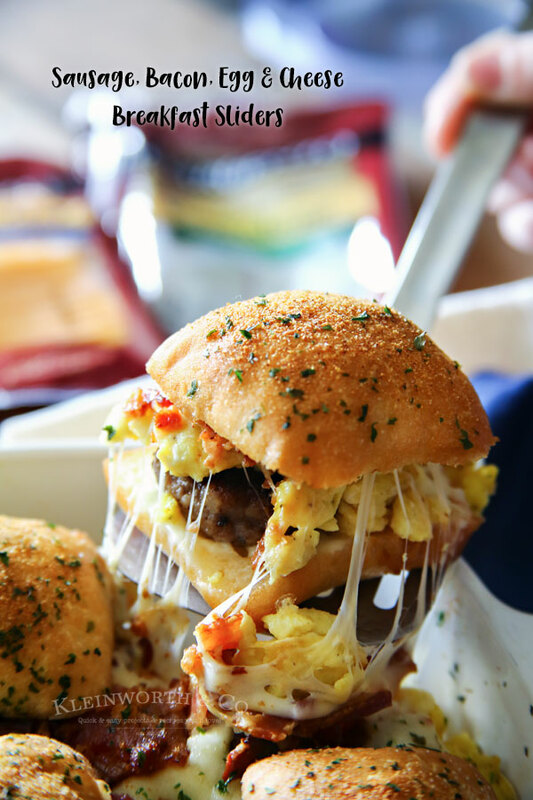 Rolls, sausage pattys, scrambled eggs & bacon, topped with delicious provolone cheese & melted in the oven for about 25 minutes. We REALLY LOVE cheese. 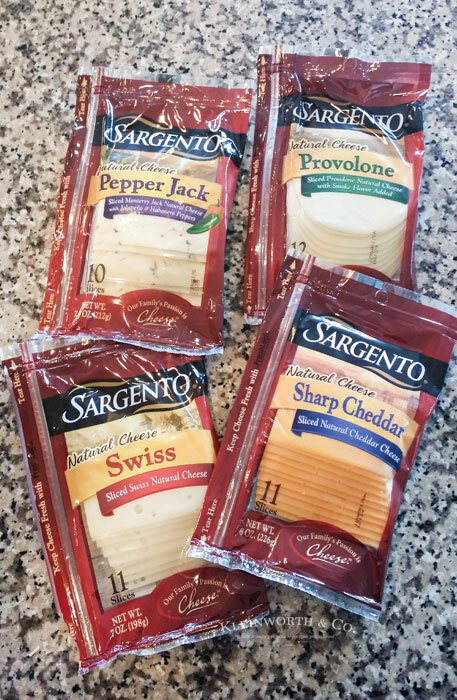 So I like to use Sargento® Sliced Cheese because I want nothing but the best for my guests & my family too. It’s 100% real, natural cheese, which is very important to me. Pasturized Processed Cheese Food is only required to contain 51% real cheese. I wonder what the other 49% is. 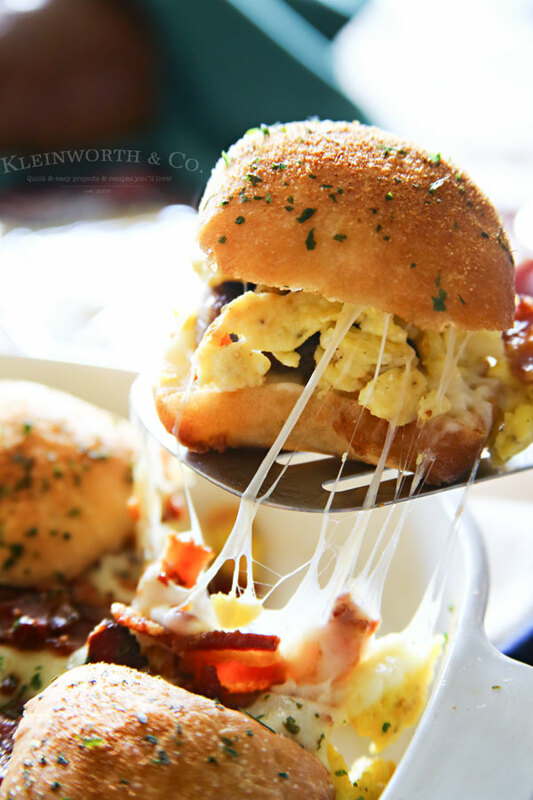 I prefer sliced from the block cheese when making awesome recipes like this one. 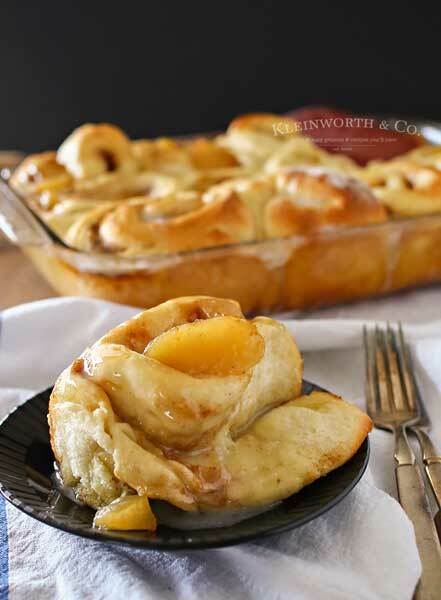 Now, you can make these ahead of time, cover & refrigerate. Your baking time the morning you serve it will be increased a bit since you are starting from cold. But you can also make these start to finish & serve right away. They are certainly great either way. Just look at all that gorgeous cheese. It’s absolutely divine! 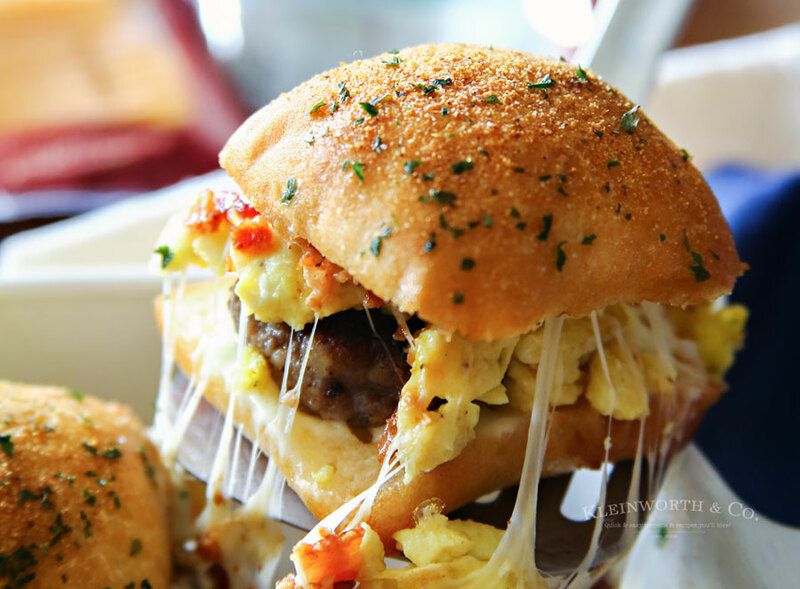 Delicious sausage, egg, bacon & cheese come together in a great breakfast slider. Bake 25 minutes if not starting from a pre-made, refrigerated state. 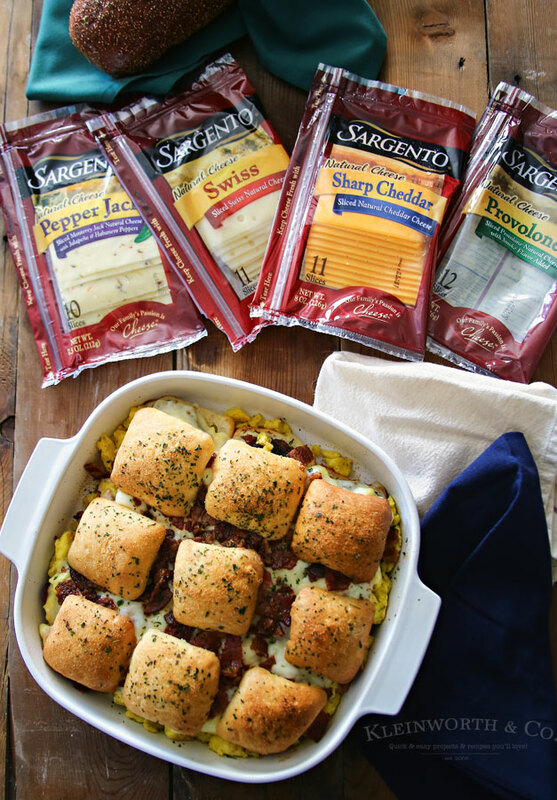 If you make this ahead of time & the dish is cold, you will want to bake at least 40-50 minutes or until hot & cheese is melted. 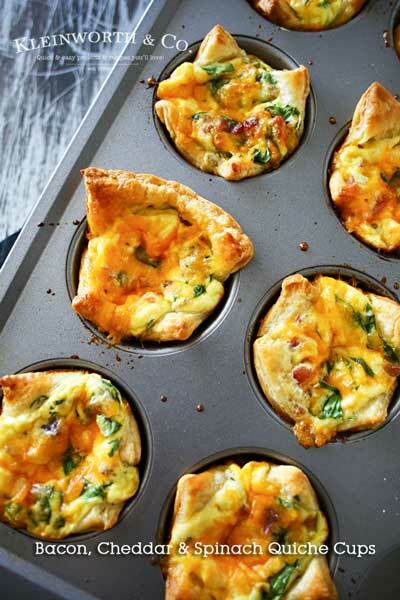 I guarantee these will wow your crowd on those busy holiday mornings! That looks like a great family breakfast item! Wow. 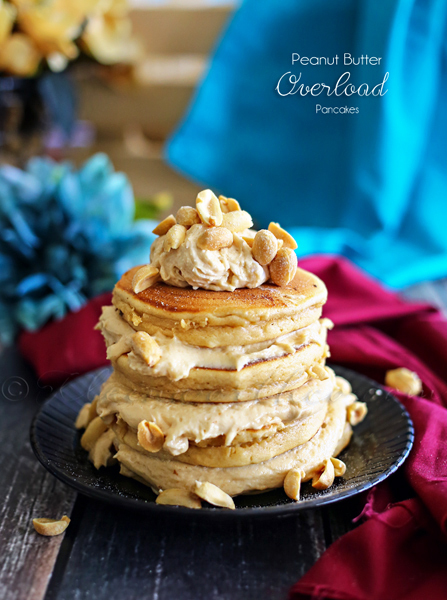 Now this is the type of breakfast that would keep me up at night in anticipation!! Look SO darn good! 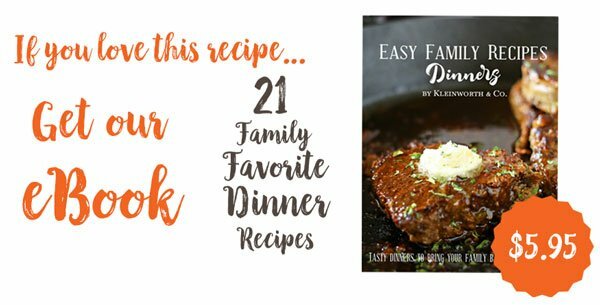 This recipe looks fit for company. I would have it for dinner as well. Yum.